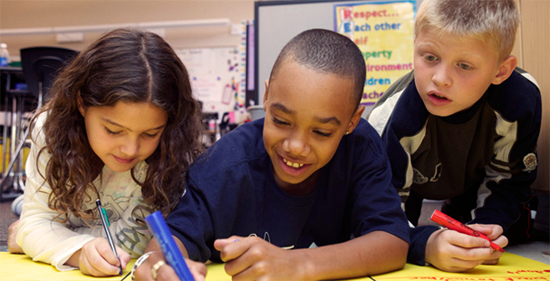 Our students range in age from 5 years to 12 years and attend elementary schools. The Three Pillars of our Program are Homework, Organized Sports and Extracurriculars. Certified teachers will ensure that students de-mystify any misunderstood or partially understood concepts through daily homework guidance. Individualized 30-day study plans which will include academic reinforcement in addition to homework assignments from school. Developing good study habits under the watchful eyes of qualified instructors. We believe that every human being is born with the ability to achieve their full potential. However, very few actually reach it. We believe a big part of the reason is poor coaching in the formative years. Our philosophy is that organized team sports, including drills and game-play, empower young athletes and grow a child's confidence and self-esteem. We look to sports to reinforce basic leadership and life skills like sportsmanship, how to cope with a win or a loss gracefully, and perseverance. We partner with local coaches and companies to teach our students sport and team skills. This camp has a weekly theme and is designed with fun activities, outdoor play, a promotion of a sense of a world community, and includes daily academics to insure your child grows through the Summer months. This is a perfect camp for kids who need a variety of engaging activities in shorter sessions. This camp offers a special opportunity for kids who are interested in spending their mornings in an immersive, fun, educational session exploring our weekly theme and is ideally suited for students who can focus for 2.5 hours with a couple of short breaks. You have the option to choose half-day (a.m. or p.m.) or full-day (a.m. and p.m.) weekly camps. Daily field trips to different, fun and interactive locations! See our pricing calculator to learn about specific camps. 2+ siblings), and a discount for the July 4th holiday (15% off for the 4-day camp week). The pricing calculator will automatically calculate these discounts for you. A.M Camps - 8:15-1:00 p.m.
3-hour Specialty $250 - $270/wk. These areas are customized academic work, programming, facilities, staffing, communication and technology. This section is designed to help you compare Positive Ally to other after school choices in our area. You will understand why we offer the best in leadership education for elementary after school students. Question: Will my student get personalized academic reinforcement? Answer: Yes, each student takes 3 online academic assessment for math and English language arts and based on that assessment, we make custom work targeted to each students academic objectives. Question: How do you decide what work to give my student? Answer: The first week of your child's time with us, we give them both a Math and Language Arts assessment for their grade level. 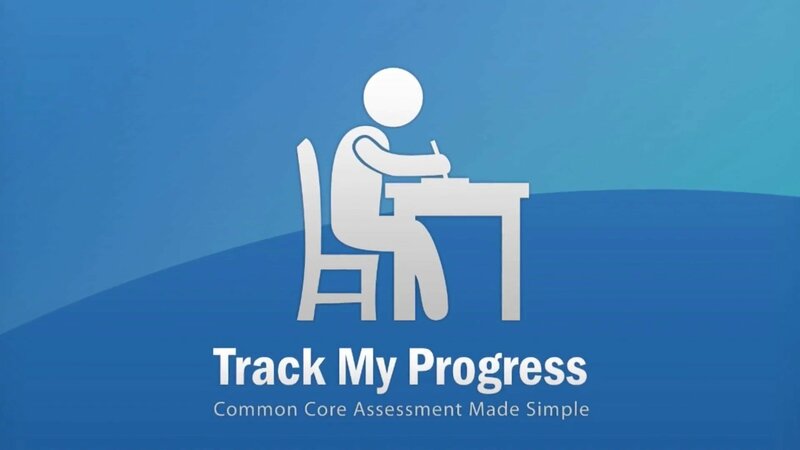 The assessment is Common Core aligned so it will have questions similar to what your student is and will be learning in school. It gives us a good idea about what your student already knows and where they need reinforcement, so we're able to customize work for them each week. Based on the assessment and parent input, we develop an individualized plan of action for each student in math and language arts. Question: What if I want my student to have different work or focus on a particular subject? Answer: We are here to work with you and your student, so anytime you have a question, concern or new input about your student's needs, we can make the needed adjustments. If you wish to send work from home for him / her, we will assist him to complete the same and correct it to provide feedback. Question: Do you have computers available at each center? Answer: Yes, each center have enough laptops, Chrome books, or Surfaces available with access to the Internet and ability to print assignments. Question: Will my student be exposed to organized extracurricular activities? Answer: Yes! At Positive Ally, we include an incredible array of extracurriculars. In addition to our commitment to academics, we offer students access to 7 extracurricular activities, like theater, musical theater, visual arts,nutrition, destination imagination, public speaking, and science taught by our certified teacher or professional partner. Our students produce amazing work as they learn the techniques behind these art forms! Question: Are there any other extracurricular offerings? Answer: Yes! In addition to our programming given above in the previous response, we offer optional Friday electives including keyboarding, software coding and visual arts. These classes are not included in the monthly tuition and cost extra. Question: Will my student have physical activity during the week? Answer: Our programming includes physical fitness and organized team sports for 2 to 3 days a week. Our professional partners teach our students cooperation and leadership skills through team sports, and our students have a great time in the process! We also offer aerobics and yoga throughout the school year to keep our students moving. Question: How do you regulate and ensure quality programming in your centers? Answer: We have daily, weekly, monthly, quarterly and annual checklists for different aspects of the program. This ensures a consistent and well defined expectation of the minimum quality requirement for each center. In addition to yearly DEL training and inspections, we have an internal Director of Quality and Training who visits each center regularly for surprise inspections and staff training to ensure that our policies and processes are being followed and to enhance the center experience for students, parents and staff. Question: Are all Positive Ally centers DCYF certified? What does that mean? Answer: This means we follow Department of Early Education to Department of Children, Youth, and Families (DCYF) requirements regarding safety, security, health, hygiene, child development practices, space, student-to-staff ratios, outdoor time, and snacks. All four of our locations have permanent licenses which means that we meet all minimum licensing requirements of DCYF in all categories. We regularly pass surprise inspection by DCYF! Question: Are all Positive Ally centers within ten minutes of schools and located right in your neighborhood? Answer: Yes! We drop off our first students before going to the second pick up location so that your student doesn't spend up to 45 minutes in a van. Question: Are Positive Ally centers grade specific? Answer: Half of our centers have just 2 grades for the entire center but the remaining centers have all grades. These centers with all grades have classrooms or demarcated spaces where students are grouped by grade and instructed accordingly. Question: Does each student have their own space? Answer: Yes. At our centers, students have both their own desk space and space hang their backpacks. Question: Are the facilities clean? Answer: Yes, our centers are cleaned daily by a professional cleaning company. Our vans are cleaned weekly. All carpets are steam cleaned monthly, and centers have paint touched up every quarter. Question: Are Positive Ally staff trained and certified? Answer: Our center staff are college educated professionals with degrees ranging from Associates to Masters in various education fields. They are supported by a certified teacher and a team of curriculum developers in the background. The center staff maintain DCYF's yearly training requirements and go through Positive Ally's initial training program. Question: Are Positive Ally staff background checked? Answer: Yes, all of Positive Ally's staff are fingerprinted and background checked by Department of Early Learning to Department of Children, Youth, and Families (DCYF) which is a government body in the state of Washington. Question: What is the student-to-teacher ratio? Answer: At Positive Ally, we maintain a 10-to-1 ratio for most activities and 8-to-1 ratio for homework hour. Question: Does Positive Ally regularly communicate with parents? Answer: Yes! We send weekly newsletters highlighting the upcoming week's programming and any reminders. We regularly invite parents in for Parent Nights to see student performances. We are available for parent conferences on request and the Lead Teacher meets each parent daily at pickup time. Question: Does Positive Ally use electronic payment? Answer: Yes. Online payment, monthly electronic invoices and receipts are all standard and designed to make your life easier. Question: How does Positive Ally use social media to stay connected with parents? Answer: We use a secure, invitation-only social media network called Bloomz. Via Bloomz, we provide you real-time updates of our programming activities, including pictures right on your smartphone! Because it's a secure network, only the other parents in your child's center can see posts from that center. It's a great insight to all the amazing things our students are doing at Positive Ally. It's also a great place to connect with other parents from your student's center to arrange playdates or exchange note about the new extracurricular activities in the neighborhood, etc. Question: Does Positive Ally have an easy way for me to mark absences, register for childcare days or update my information? Answer: We've got you covered! Our online Parent Portal makes it easy for you to mark absences and late drop offs, register for childcare days and electives, access forms, edit student information, view contact information for your student's center, and more. Plus, our mobile site is enabled to let you stay logged in and mark absences (and more!) right from your smart phone. Question:How do I contact a live person if there is an emergency? Answer: Each parent gets the cell phone of the Lead Teacher (Director) of the center and you can call her at this number or the center number during regular hours. If there is an emergency outside of our hours of operation, we will still take your call. All Lead Teachers are online via email and generally respond within an hour, and certainly within a day, to your requests. Put on by Coding with kids. This great immersive Specialty Camp covers the basics of coding.design & development culminating in a final project your kids will be proud of! Bring lunch.